A younger Thrawn encounters a familiar face in his new novel. Timothy Zahn’s Thrawn—one of the best new novels to come out of Disney’s rebooted Star Wars canon—gave us some wonderful insight as to how the mysterious Chiss tactician encountered the Empire, rising through Imperial ranks to become the Grand Admiral we saw in Rebels. Now, the follow up is showing us an even earlier part of Thrawn’s life. We’ve known since the first book that Thrawn’s first contact with the Star Wars world as we know it—the area of the galaxy beyond the Unknown Regions that the Chiss Ascendancy call home—wasn’t with the Empire, but with the Republic, years before he re-emerged on the Imperial scene. Specifically, it was with someone Thrawn refers to Palpatine’s “servant”: Anakin Skywalker, Jedi Knight. Now we know just how that fateful meeting is going to come about, thanks to a new excerpt from Zahn’s follow up, Thrawn: Alliances, that was posted to StarWars.com today. Alliances will largely deal with Thrawn being put on a mission with none other than Vader himself, but the extract reveals that we’ll also get to flash back to the height of the Clone Wars, and meet Thrawn back when he was still officially part of the Chiss Expan­sionary Defense Fleet. The full extract is delightful, not just for this uneasy meeting of minds—the way Thrawn dances around a blustery Anakin is wonderful—but because it raises some interesting questions about just how Thrawn will interact with the man Anakin becomes by the time he’s an officer of the Empire. The Clone Wars-era artwork that will cover Thrawn: Alliances’ San Diego Comic-Con exclusive edition. It’s never made entirely clear in Thrawn that the future Grand Admiral had realized Anakin Skywalker and Darth Vader are one and the same, but given his famous talents of perception and strategy, it’s likely not going to be long into their mission during Alliances that Thrawn puts two and two together. How will he react? Is it simply another bit of knowledge to acquire? 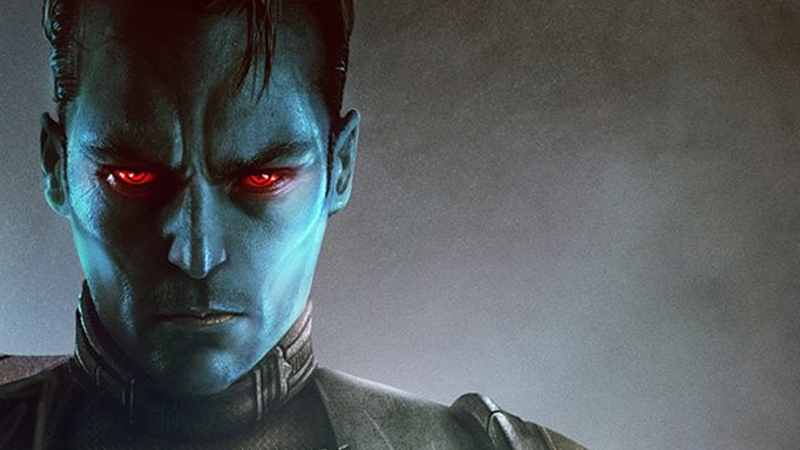 We’ll have to wait and see when Thrawn: Alliances hits shelves July 24.